Every campus in the country is looking for ways to make the fan experience better than what they’re able to get at home, and Georgia Southern has introduced an interesting new idea that may do just that. 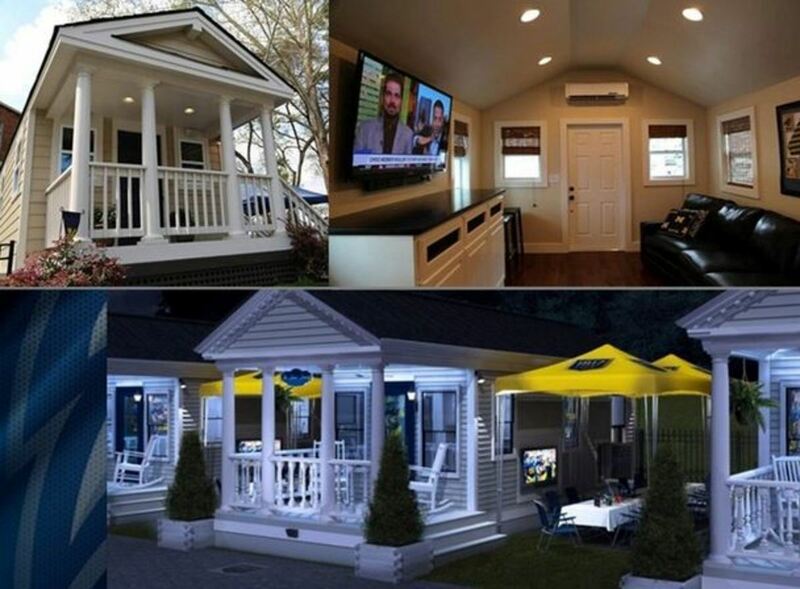 Georgia Southern Sports Properties and Gameday Traditions have teamed up to bring fans a 400 square foot mini-mansion / tailgating suite that can accommodate up to 50 people. The mini-mansion includes four HD TVs hooked up to satellite, a wet bar, air conditioning, a private bathroom, and the option to have an outdoor area complete with another TV, outdoor furniture, an outdoor beer fridge, and propane grill. The best part? It all comes ready to go, just pay and show up with your key and the suite is ready to go. They’ll even let you come the night before the game to stock the fridge, or (for a fee) they’ll stock the fridge for you. A few pictures, courtesy of Georgia Southern’s athletic page, have been included below, as well as a video tour via GameDay Traditions. The price tag per game for one of these gems? A cool $5,000. How sweet does all of that sound? Roll up to your own home-away-from-home a few Saturdays every fall, and hang out at one of these places will 40 or 50 of your closest buddies. Plus, you don’t need to pack up the car or truck with a bunch of crap everytime you go to a game, just pack a cooler with some frosty adult beverages and some meat to throw on the grill and you’ve got everything you need. This is a really interesting idea to improve the game day experience for fans, and it’s so intriguing that it just might work. Read more on the luxury tailgating option here, on Georgia Southern’s official site.